In the wake of the profound damage wrought by Hurricane Maria in Puerto Rico, New York-based architects Jonathan Marvel and Walter Meyer are coordinating relief efforts through a Brooklyn nonprofit, the Coastal Marine Resource Center (CMRC), which has initiated a project called Resilient Puerto Rico to supply solar microgrids to municipalities across the island. 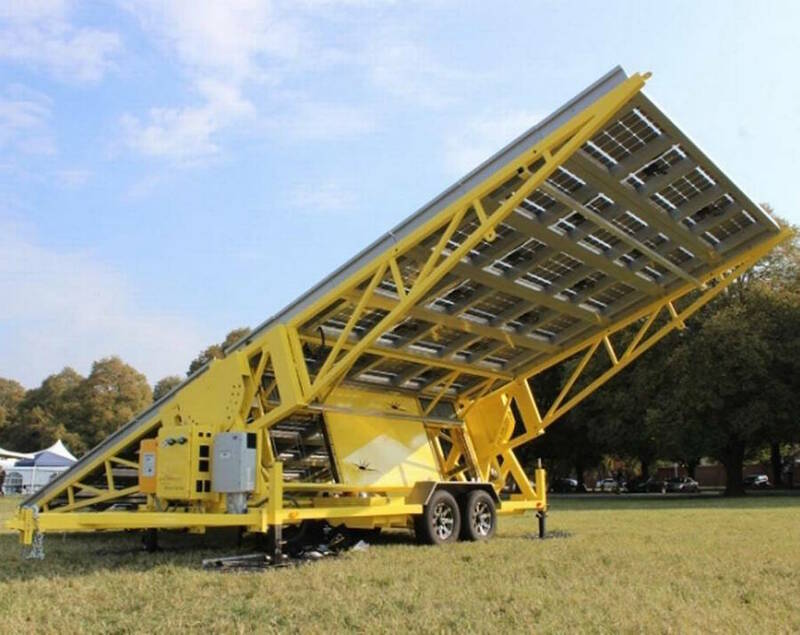 Walter Meyer, principal at Brooklyn-based Local Office Landscape Architecture, is organizing a large shipment of solar panels, generators, and power inverters to the storm-ravaged island. Meyer himself has family in Puerto Rico, and is looking for longer-term solutions to replace the island’s historically faulty energy grid. Immediate recovery efforts, however, are focused on those in particularly dire straits, like seniors and those in need of medical attention, many of whom lack the proper care or medication due to the near-total outage. Supplies are being held at informal community centers in public spaces all over the island. Some of these improvised centers will receive funding from Jonathan Marvel, founding principal of New York firm Marvel Architects. Marvel, who is in San Juan to coordinate recovery efforts, donated $50,000 towards relief centers that provide cell phone chargers, food, and water. When The Architect’s Newspaper (AN) spoke with Marvel over the phone, he was in middle of wiring these funds to a Florida-based supplier of solar panels and generators called Sun Electronics. These solar supplies will be sent to 16 community centers across Puerto Rico with existing leadership structures, each serving tens of thousands of nearby residents. Marvel got information about these centers from his mother, Lucilla Fuller Marvel, a career AICP urban planner in San Juan who has worked on resilience planning her entire life. The panels and generators supplied by Sun Electronics will be then shipped down to San Juan, where Marvel and a team of architects from the firms’s Puerto Rico office will put together assembly kits before sending them out to the 16 community centers. The island has 78 municipalities in total, and CMRC’s eventual goal is to provide every one of them with a solar microgrid. “We’re in many ways a perfect candidate for having a grassroots-based, municipality-scale, solar-powered energy grid,” Marvel said. His team’s longer term goal is to focus on scaling these renewable energy sources to provide more permanent sources of electricity to communities that aren’t generated by petroleum plants hundreds of miles away. Marvel and Meyer are also working with Cristina Roig Morris, assistant vice president and senior legal council at AT&T, to fundraise for the project’s larger mission, which may receive help from the Rockefeller Foundation. While the coordinated relief effort is ambitious, Marvel has another idea for architecture students currently on the island. Modeled after post-Katrina efforts to relocate students from the Tulane School of Architecture to other design schools where they could continue studies while their school was closed, Marvel would like to create opportunities for architecture students in Puerto Rico to do the same. The idea is in an early stage, and he is brainstorming ways for the three architecture schools in San Juan (serving about 75 to 125 students total) to partner with host schools in the mainland United States to continue their education. Never one to be excluded, Elon Musk has also extended an offer to aid in the propagation of solar energy solutions to the island, tweeting his interest at Puerto Rico’s governor Ricardo Rossello this week. For those who’d like to pitch in for Puerto Rico’s recovery, below are some recommendations of groups, both in Puerto Rico and on the mainland, to check out. This list is based on recommendations from Ruth Santiago and Luis G. Martinez in our original article on the post-Maria energy crisis. Unidos por Puerto Rico (United for Puerto Rico), led by the First Lady of Puerto Rico, one of the largest initiatives garnering funds for recovery. ConPRmetidos (Committed), a nonprofit completing impact and needs assessments and seeking to provide power and structural repairs to the communities most in need. Fundación Comunitaria de Puerto Rico (Community Foundation of Puerto Rico), based in San Juan, a philanthropic foundation awarding grants for, among other things, housing and economic development in local communities. Comité Diálogo Ambiental (Environmental Dialogue Committee), the Salinas-based group that Santiago works for, housed under an umbrella organization bringing together community groups, fishers associations, and others, called IDEBAJO–Iniciativa de Ecodesarrollo de Bahia de Jobos (Jobos Bay Ecodevelopment Initiative). El Puente | Enlace Latino de Acción Climática (Latino Climate Action Network), based out of Brooklyn, has been holding fundraisers to raise awareness and support for Maria recovery efforts. Centro de Estudios Puertorriqueños (Center for Puerto Rican Studies, Hunter College, CUNY) have been pooling community voices, news, and fundraising opportunities since the storm. AN knows this list is not comprehensive, and we encourage readers to leave additional resources in the comments section.